When will be Family Builds next episode air date? Is Family Builds renewed or cancelled? Where to countdown Family Builds air dates? Is Family Builds worth watching? Family Builds follows the DesRoches family who have been building, remodeling and renovating homes around Cape Cod for 50 years. Last year Virginia and her three brothers took over from their dad, and the business is exploding. She designs, and her brothers build. Now clients are coming from all over for their authentic New England design and the craftsmanship the DesRoches put into every project. Virginia and the boys take on a massive challenge to give their land-locked client an ocean view. Can't move the house, so there is only one way to go...up! Building a tower 35 feet up, to be exact. Plus a complete interior makeover in their signature New England style makes this one of the biggest jobs the DesRoches have ever taken on. 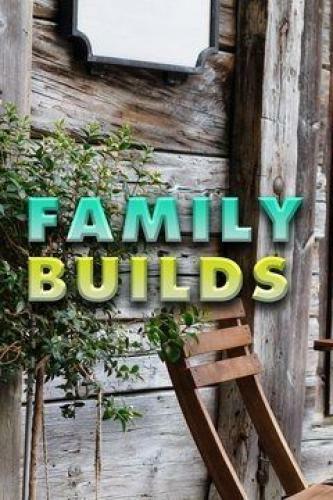 Family Builds next episode air date provides TVMaze for you. EpisoDate.com is your TV show guide to Countdown Family Builds Episode Air Dates and to stay in touch with Family Builds next episode Air Date and your others favorite TV Shows. Add the shows you like to a "Watchlist" and let the site take it from there.